Healthwatch Leeds want to find out how people with visual impairment access health and social care services. We are an independent organisation set up to ensure that people have a voice in their care. Can you spare 10 mins to fill in @HWLeeds survey? 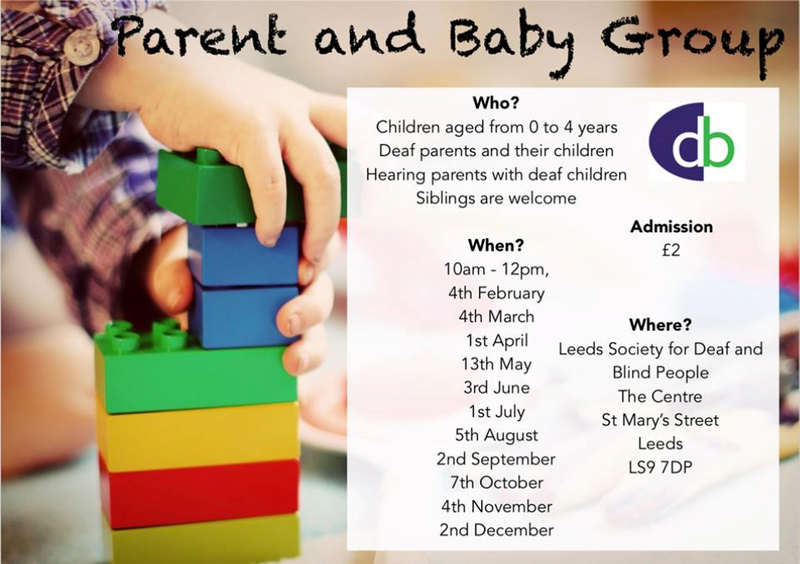 This Easter Sunday the Wilberforce Trust are hosting an Easter Egg Hunt for children with sight loss and their siblings. Enjoy a fun filled day with your family. Come along and find the eggs, don’t forget to bring your basket. The event is free, though charitable donations are welcome. You have the right to find out if an organisation is using or storing your personal data. This is called the right of access. You exercise this right by asking for a copy of the data, which is commonly known as making a ‘subject access request’. You can make a subject access request verbally or in writing. If you make your request verbally, we recommend you follow it up in writing to provide a clear trail of correspondence. It will also provide clear evidence of your actions. Identify where to send your request. Think about what personal data you want to access. Make your request directly to the organisation. State clearly what you want. You might not want all the personal data that the organisation holds about you. It may respond more quickly if you explain this and identify the specific data you want. Any information used by the organisation to identify or distinguish you from other people with the same name (account numbers etc). Any details or relevant dates that will help it identify what you want. CCTV camera data situated at ‘location E’ on, say, 23 May 2017 from 11am to 5pm records detailing the transfer of your data to a third party. If you need any more data from me, or a fee, please let me know as soon as possible. It may be helpful for you to know that data protection law requires you to respond to a request for data within one calendar month. If you do not normally deal with these requests, please pass this letter to your DataProtection Officer, or relevant staff member. If you need advice on dealing with this request, the Information Commissioner’s Office can assist you. Its website is ico.org.uk or it can be contacted on 0303 123 1113. Keep a copy of your request. Keep any proof of postage or delivery. You can ask an organisation for access more than once. However, it may be able to refuse access if your request is, as the law says, ‘manifestly unfounded or excessive’. the organisation has changed its activities or processes recently. If you are unhappy with how the organisation has handled your request, you should first make a complaint to it. Having done so, if you remain dissatisfied you can make a complaint to the ICO. You can also seek to enforce your rights through the courts. If you decide to do this, we strongly advise that you seek independent legal advice first. If an organisation reasonably needs more information to help it find your data or identify you, it has to ask you for the information it needs. It can then wait until it has all the necessary information before dealing with your request. When it responds to your request, the organisation should provide you with a copy of your data. It may do this electronically. If you need your data in another format, you must ask if this is possible. What it is using your data for. Who it is sharing your data with. How long it will store your data, and how it made this decision. Information on your rights to challenge the accuracy of your data, to have it deleted, or to object to its use. Your right to complain to the ICO. Information on where your data came from. Whether your data is used for profiling or automated decision making and how it is doing this. If it has transferred your data to a third country or an international organisation, what security measures it took.. When can the organisation say no? it is reasonable to provide you with this information without the other individual’s consent. In deciding this, the organisation will have to balance your right to access your data against the other individual’s rights regarding their own information. The organisation can also refuse your request if it is ‘manifestly unfounded or excessive’. How long should the organisation take? An organisation has one month to respond to your request. In certain circumstances it may need extra time to consider your request and can take up to an extra two months. If it is going to do this, it should let you know within one month that it needs more time and why. For more on this, see our guidance on Time Limits. Can the organisation charge a fee for this? A copy of your personal data should be provided free. An organisation may charge for additional copies. It can only charge a fee if it thinks the request is ‘manifestly unfounded or excessive’. If so, it may ask for a reasonable fee for administrative costs associated with the request. Starting on Monday 4th February 2019, then first Monday of every month except May when the group will be held on Monday 13th May. It’s not every day that you find yourself singing along to Frank Sinatra in a supermarket but that’s exactly what Karen found herself doing when she came across an anxious man in her local shop. Click below to find out what happened. We warmly invite you to join us for our 25th silver anniversary celebration at the beautiful and spacious settings of Bagden Hall. 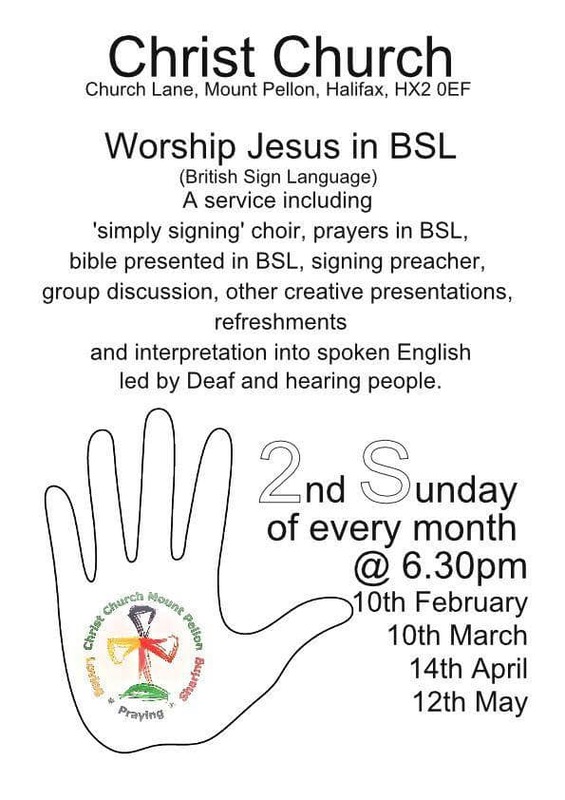 All members of the deaf community are welcome including your deaf and hearing partners, family and friends. Your ticket price includes a full charity ball dinner, Buck’s fizz drinks on arrival, entertainment by our popular deaf comedian, John Smith and a raffle prize. John Smith will be Master of Ceremonies on the night. Please note: – This booking system is for the meal only. The ticket price does NOT include accommodation or hotel booking. You may wish to book your room at Bagden Hall Hotel. For those wishing to stay at Bagden hall Hotel, you can get concession for room booking. This can be obtained by emailing info.bagdenhall@classiclodges. co.uk Please make sure you state the name of the event and it’s date. For alternative accommodation, please see list below ‘Accommodation Options’. If you would like to join us, please purchase your tickets via Eventbrite website. Adult ticket is £50 and there is a special concessionary price of £30 for each child and DDYC members. When you purchase your ticket, you will need to select your meal choices for starter, main course and dessert. There are also options for child meal, vegan, vegetarian, gluten free, Halal and other dietary requirements. Free meal for children under 2 years. Please purchase your ticket as usual and let us know the age of your child / children. Closing date for menu choices and event bookings is 31st July 2019. Note: – There will be no refunds on bookings made. We are proud to announce that Traveleyes Founder and Director Amar Latif will be presenting a brand-new travel documentary for the BBC. The BBC Two show – ‘Travelling Blind’ – is due to air at 8pm on 7th March and will be available on the BBC iPlayer shortly after. As a blind world traveller, Amar Latif has a thirst for adventure, he likes to get up close and personal with every destination he visits but he needs someone to be his eyes. Amar takes comedian Sara Pascoe on a trip across Turkey, from the lively markets in Istanbul to the outstanding landscapes of Cappadocia, as the pair show how travelling with someone that is blind will force you to experience a culture like never before. Sara and Amar travel in different ways. Sara prefers to stand back and observe while Amar needs to be in the thick of things. Due to his lack of sight, getting close to people, cultures and experiences is the only way to bring a place to life. ‘Travelling with Sara and sharing my way of exploring was so much fun and I hope to have imparted some of my lust for adventure onto her’ said Amar. Amar lost his sight when he was 18 years old, but still wanted to explore the world. However, when he approached mainstream travel companies as a solo blind traveller, he faced rejection. In the wake of this, and after a successful career as a Corporate accountant for large corporations, Amar decided to set up Traveleyes, to open up the world for thousands of blind travellers all over the world. Traveleyes is the world’s first commercial tour operator offering independent group travel for both blind and sighted travellers. Established in 2004 by the Blind entrepreneur, TV presenter and world traveller Amar Latif, Traveleyes now runs over 60 trips a year to destinations all around the world, from Safaris in Africa and trekking in Machu Picchu to skiing in the Alps and exploring Europe’s most loved cities. On each holiday, half the group are blind or Visually Impaired (VI), and the other half fully sighted. Each day, the sighted travellers guide and describe to a different blind partner, and explore the destinations we visit together. In return for sharing their sight, the cost of their holiday is subsidised up to 50% by Traveleyes. Amar is available for interviews. To arrange, please contact Andrew Milburn – andrew@traveleyes-international.com – Communications Executive at Traveleyes. Amar is the recipient of The Outstanding Young Person of the World accolade (Business / Entrepreneurial category) from the Chamber of Commerce International (JCI) and the prestigious Stelios Disabled Entrepreneur Award, presented by Sir Stelios Haji-Ioannou. Travelling Blind was made by production company Spun Gold for BBC 2. Are you 16 – 25 and unemployed? Why not join our 12 week, full time course where you can gain new skills and a qualification! Develop your CV and interview skills. Get 2 weeks work experience. Our Princes Trust course is completely free and wont affect your Jobseekers Allowance. NDCS Family Fun Day, 21st February, 12pm till 4pm, click here to visit their site.